One trend that has taken us by pleasant surprise this Fashion Week is a newfound respect for shoulders — you know, that beautiful body part that becomes nothing more than a purse hook come fall. Several designers focused on the area this week: Alexander Wang draped crepe wool just so to create vents, Prabal Gurung favored bare shoulders with revealing boned corsets and cut-outs, and Donna Karan deftly wrapped black jersey just about everywhere except the shoulders. 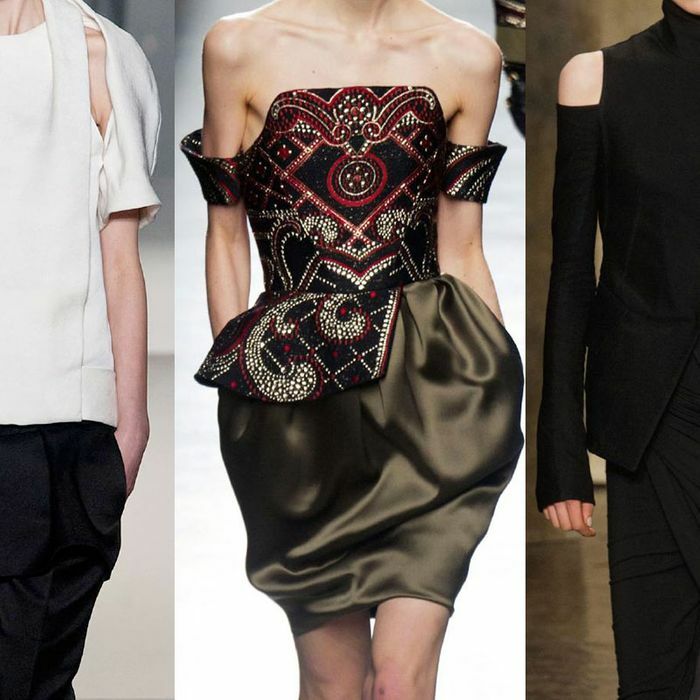 Cold shoulders: They’re so hot right now. See the complete Alexander Wang Fall 2013 collection here. See the complete Donna Karan Fall 2013 collection here.